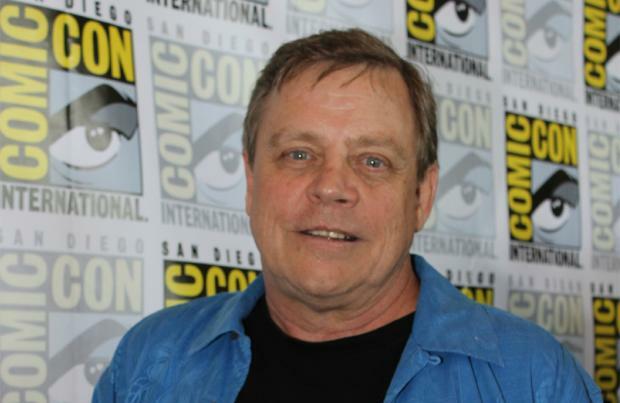 Mark Hamill dropped roughly 50 pounds for his role in 'Star Wars: The Force Awakens'. The 64-year-old actor embarked on a rigorous fitness regime and strict diet to get in shape for his return as Jedi Knight Luke Skywalker in the seventh film in the sci-fi franchise. The principle of his eating plan was to not dine on any food that "tastes good". He said: "(I don't want compliments) It implies that I looked so dreadful before! "Look at what I'm eating now instead of potato chips and bagels, (it's fruit). I'm on the 'if it tastes good, don't eat it' diet." Hamill also revealed he and his original trilogy cast mates, including Carrie Fisher and Harrison Ford, went into a "state of shock" when they heard that Lucasfilm - the production company owned by original 'Star Wars' director George Lucas - was being sold to Disney and 'Star Wars' was coming back. Hamill didn't believe he'd actually be returning as Luke Skywalker on the big screen for the first time since 1983 and was certain Ford would turn down the offer to reprise his role as Han Solo, hence stopping the comeback of the original main cast. He told Rolling Stone magazine: "We're all in a great place and we've all done it before. There was a beginning, middle and an end. You have to think about all the aspects, because if you wanna maintain a low-profile, this isn't the best way to do it! "I said, 'The ace in the hole is, Harrison's not gonna do this. Why would he?' So that's our escape clause. You know, if I'm the only one, I'll look terrible - but if he doesn't do it, I don't have to do it."